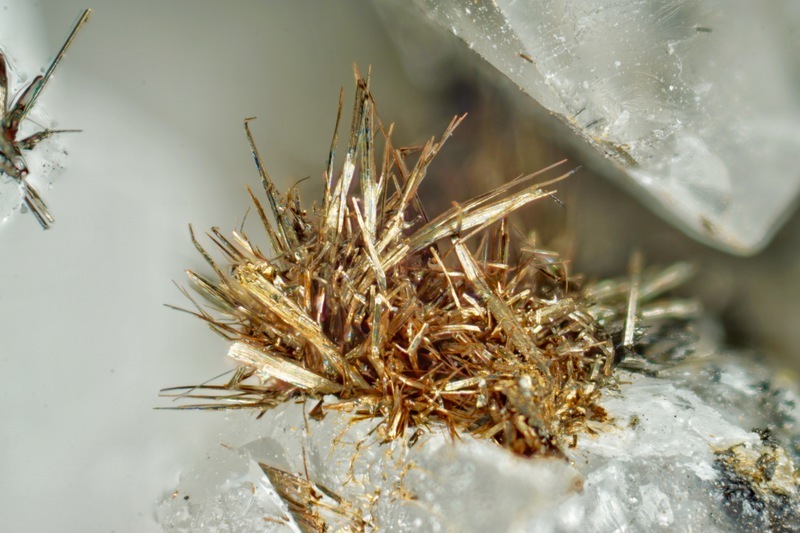 Tochilinite: Mineral information, data and localities. 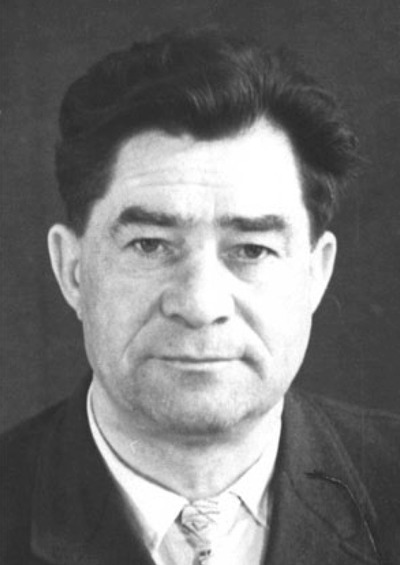 Named in honor of Mitrofan Stepanovich Tochilin (Митрофана Степановича Точилина) (15 December 1910, Bolshaya Podosinki, now Bryansk region, Russian Empire - 11 January 1968, Voronezh, USSR), Professor of Mineralogy, Voronezh University, Russia. He was a specialist on the Kola Penninsula. The Mg analogue of ferrotochilinite. A.E. Fersman Mineralogical Museum, Academy of Sciences, Moscow, Russia. Organova, N.I., Genkin, A.D., Drits, V.A., Molotkov, S.P., Kuz'mina, O.V., Dmitrik, A.L. (1971) Tochilinite, a new sulfide-hydroxide of iron and magnesium. 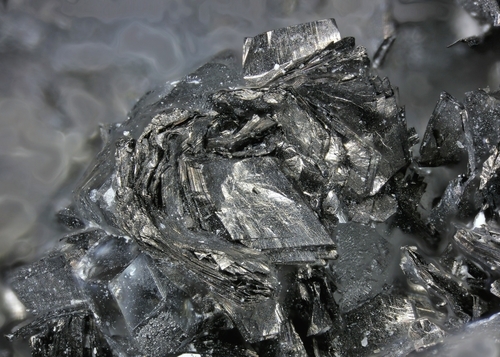 Zapiski Vsesoyuznogo Mineralogicheskogo Obshchestva: 100(4): 477-487. Calcite 12 photos of Tochilinite associated with Calcite on mindat.org. Pyroaurite 6 photos of Tochilinite associated with Pyroaurite on mindat.org. Magnetite 3 photos of Tochilinite associated with Magnetite on mindat.org. Ancylite-(Ce) 3 photos of Tochilinite associated with Ancylite-(Ce) on mindat.org. Menezesite 3 photos of Tochilinite associated with Menezesite on mindat.org. Pyrite 2 photos of Tochilinite associated with Pyrite on mindat.org. Orpiment 2 photos of Tochilinite associated with Orpiment on mindat.org. Dolomite 2 photos of Tochilinite associated with Dolomite on mindat.org. Uranpyrochlore (of Hogarth 1977) 2 photos of Tochilinite associated with Uranpyrochlore (of Hogarth 1977) on mindat.org. Realgar 1 photo of Tochilinite associated with Realgar on mindat.org. 2.FD. UKI-2004-(OS:BiCuPb) PbCu4Bi4S2O16 (?) Tet. 2.FD.25 Coyoteite NaFe3S5 · 2H2O Tric. 4.4 Schöllhornite Na0.3CrS2 · H2O Trig. Organova, N.I., Genkin, A.D., Drits, V.A., Molotkov, S.P., Kuz'mina, O.V., Dmitrik, A.L. (1971) Tochilinite, a new sulfide-hydroxide of iron and magnesium. Zapiski Vsesoyuznogo Mineralogicheskogo Obshchestva: 100(4): 477-487 [in Russian]. Fleischer, M. (1972) New mineral names. American Mineralogist: 57: 1552-1561. Organova, N.I., Drits, V.A., Dmitrik, A.L. (1973) Structural study of tochilinite. Part I. The isometric variety. Soviet Physics - Crystallography: 17: 667-671. Organova, N.I., Drits, V.A., Dmitrik, A.L. (1974) Structural study of tochilinite. II. Acicular variety. Unusual diffraction patterns. Soviet Physics - Crystallography: 18: 606-609. Zolensky, M.E., Mackinnon, I.D.R. (1986) Microstructures of cylindrical tochilinites. American Mineralogist: 71: 1201-1209. The following Tochilinite specimens are currently listed for sale on minfind.com. Tested by XRD and SEM-EDS by R Bottrill, unpub. rept. Kolitsch, U. & Brandstätter, F. (2009): 1608) Magensioferrit, Pyroaurit und Tochilinit vom Kirchdorftunnel der Brucker Schnellstraße, Steiermark. P. 226-227 in: Niedermayr, G. et al. (2009): Neue Mineralfunde aus Österreich LVIII. Carinthia II, 199/119, 189-236. Sabina A. P. (1986) Rocks And Minerals For The Collector, Bancroft - Parry Sound and Southern Ontario, Geological Survey of Canada, Miscellaneous paper 39, p.20. Sabina, A.P. (1986) Rocks and Minerals for the Collector, Bancroft-Parry Sound area and Southern Ontario. Geological Survey of Canada, Miscellaneous Report 39, 1986, 182p. Sabina, Ann P., Some new mineral occurrences in Canada; Current Research, Part A, Geol. Surv. Can., Paper 78-1A, p. 253-258, 1978. Anthony, Bideaux, Bladh, Nichols: "Handbook of Mineralogy", Vol. 1, 1990; Sabina, A.P. (1987) Rocks & Minerals for the collector; Hull-Maniwaki, Quebec, Ottawa-Peterborough, Ontario. GSC Misc. Report 41, 34-35 p.
Weisberg, M. K., et al. (2007) The Meteoritical Bulletin, No. 97: Meteoritics & Planetary Science 45(3): 449-493. (March 2007); http://www.lpi.usra.edu/meteor/metbull.php?sea=Paris&sfor=names&ants=no&falls=&valids=&stype=contains&lrec=50&map=ge&browse=&country=All&srt=name&categ=CM+chondrites&mblist=All&rect=&phot=&snew=0&pnt=Normal%20table&code=50907; Marrocchi, Y., Gounelle, M., Blanchard, I., Caste, F. & Kearsley, A.T. (2014) The Paris CM chondrite: secondary minerals and asteroidal processing. Meteoritics & Planetary Science: 49 (7): 12321249. (July 2014). ; Hewins, Roger H. & 16 others (2014) The Paris meteorite, the least altered CM chondrite so far. Geochimica et Cosmochimica Acta 124: 190-222. (1 January 2014); Rubin, A. E. (2015) An American on Paris: Extent of aqueous alteration of a CM chondrite and the petrography of its refractory and amoeboid olivine inclusions. Meteoritics & Planetary Science 50(9): 1595-1612. (Sept 2015). ; Pignatelli, I. et al. (2016) Multiple precursors of secondary mineralogical assemblages in CM chondrites: Meteoritics & Planetary Science 51(4): 785-805. (April 2016). Schrader, D. L., Connolly, H.C., and Lauretta, D.S. (2008) Opaque phases in type-II chondrules from CR2 chondrites: Implications for CR parent body formation. Geochimica et Cosmochimica Acta, 72, 6124-6140.; Schrader, D. L., Zega, T. J., Lauretta, D., and Connolly, H.C. (2009) Microstructure of sulfide-assemblages in a Renazzo type-II chondrule as revealed by transmission electron microscopy. 40th Lunar and Planetary Science Conference, (Lunar and Planetary Science, XL), id. #2181. 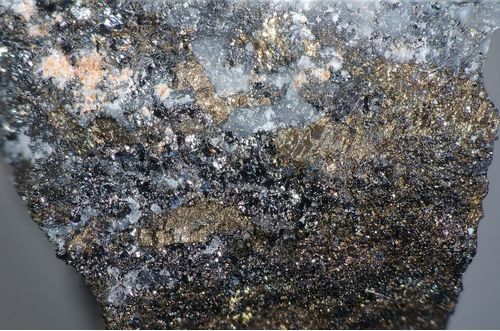 Zordan, A., Boscardin, M. (2006): Aggiornamenti di mineralogia nel Vicentino. Determinazioni 2006. Studi e Ricerche, Associazione Amici del Museo, Museo Civico "G. Zannato", Montecchio Maggiore, 13, 35-40; Boscardin, M., Daleffe, A., Rocchetti, I., Zordan, A. (2011): Minerali del Vicentino - Aggiornamenti, località e nuove determinazioni. Museo di Archeologia e Scienze Naturali “G. Zannato”, Montecchio Maggiore (Vicenza), 183 pp. ; Zordan, A. (2014): Provincia di Vicenza. In: Zorzi, F., Boscardin, M., (eds. ), Minerali del Veneto. Alla scoperta dei tesori della nostra regione. Museo di Storia Naturale e Archeologia di Montebelluna - Treviso, Cierre Edizioni, Sommacampagna, 173-246. Matsubara, S. and Kato, A. (1992) Bulletin of the National Science Museum (Tokyo), 18, 117-120. Ivanova, M.A., Nazarov, M.A., Taylor, L.A., and Brandstaetter, F. (2002) Aqueous alteration and heating events in history of anomalous chondrite Dhofar 225.; Ivanova, M.A., Taylor, L.A., Clayton, R.N., Mayeda, T.K., Nazarov, M.A., Brandstaetter, F., and Kurat, G. (2002, March) Dhofar 225 vs. the CM clan: Metamorphosed or new type of carbonaceous chondrite? In Lunar and Planetary Institute Science Conference Abstracts (Vol. 33, p. 1437). Anthony, Bideaux, Bladh, Nichols: "Handbook of Mineralogy", Vol. 1, 1990; Sharygin, V. V., Kamenetsky, V. S., & Kamenetsky, M. B. (2008). Potassium sulfides in kimberlite-hosted chloride–“nyerereite” and chloride clasts of Udachnaya-East pipe, Yakutia, Russia. The Canadian Mineralogist, 46(4), 1079-1095. T.V. Shingareva, A. T. Basilevsky, A. V. Fisenko, L. F. Semjonova, N. N. Korotaeva (2004). Mineralogy and Petrology of Laser Irradiated Carbonaceous Chondrite Mighei. Lunar and Planetary Science XXXV, 1137.pdf. Rubin, A. E. et al., (2007) Progressive aqueous alteration of CM carbonaceous chondrites: Geochim. Cosmochim. Acta 71:2361-2382.